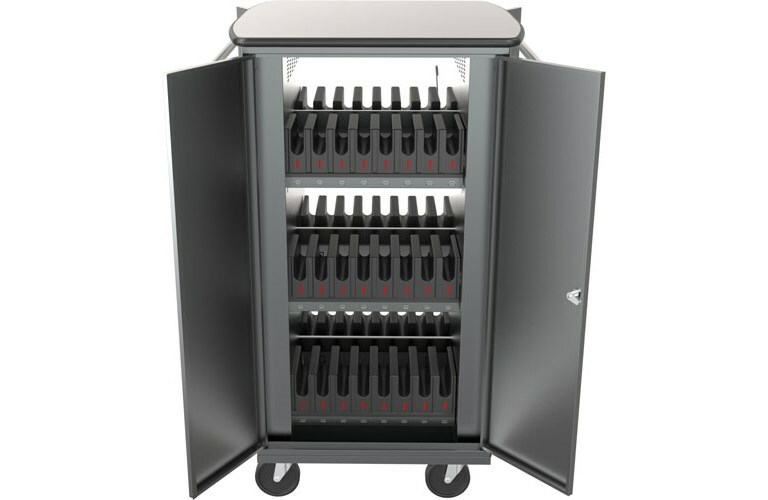 Balt iTeach High Capacity Charge Cart - 48 capacity is a charging cart that comes backed with the ability to simultaneously charge a huge amount of 48 tablets through the highly efficient iTeach high capacity sync. Made from state of the art technology, its controlled power management ensures a safe and secure way to keep your tablets up to speed with no compromise on their battery life. 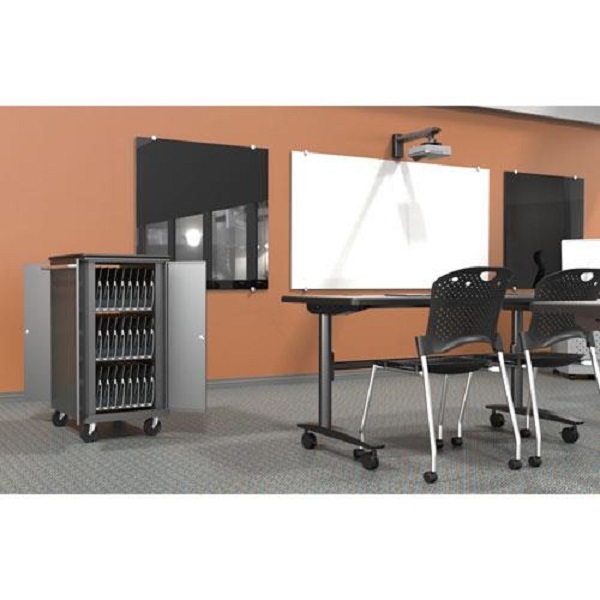 Balt iTeach High Capacity Charge Cart - 48 capacity allows users to charge up to 2.1 Amps per device with one power cord to the wall. Tablets slots measure 8.13"H x 98"W x 12"D, fit for any standard Apple device. Furthermore, the cart can charge many USB based devices. Updating to sync through Itunes for IOS and dragging or dropping for others, allows the cart to have even more power and versatility. Specifically for apple devices, a configurator app can be used to set up the system. The mobility of Balt iTeach High Capacity Charge Cart is also ensured as 3 heavy duty casters come integrated within its body plus a cord winder and power receptacle as well as ventilation panels to keep devices cool. The iTeach Charging Cart comes assembled from the market, you only need to find a suitable place for it and connect the power to start using the Cart. The manufacturers of Balt iTeach give great importance to the convenience of the user. The charge cart comes with sliding slots that can hold your tablets and notebooks easily. The casters are also a great addition and coupled with the handles, make moving the charging card extremely easy. With enough space to hold the outstanding amount of 48 devices simultaneously, the iTeach charging cart is one of the most spacious product available in its category. The Balt iTeach comes equipped with features that guarantee the safety of your devices. Overheating of your device during charging is prevented by the ventilation panels on the sides and lockable doors save your devices from theft and unauthorized access. Furthermore, due to the integrated power distributor, you can be sure that your power socket will not overdraw even when all 48 devices are being charged.